I hope you all had an amazing weekend! It is finally starting to feel like spring here so I took advantage and spent some time outside. It was perfect. I went with a couple friends to eat lunch outside Saturday, and we got ice cream too. Such a perfect day. I can’t wait to be able to do that every weekend. Eat outside I mean, not eat ice cream. I’d never feel comfortable in a crop top if I ate ice cream every weekend. 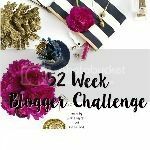 Speaking of crop tops I thought what better way to come back from my week break than to join in on the 52 Week Blogger challenge! This week the prompt is “you may not know…” so here are some things you might not know about me. Here we go! //So that crop top thing, well, I bought a crop top last fall and I have been dying to wear it. I want to be one of those girls that can pull off a crop top. I may be alone in thinking that this trend is pretty great but I can’t deny that I like it. Never thought i’d be a midriff bearing person but I kinda want to be. At least when wearing high-waisted shorts, pants or a skirt were you can only see skin if you raise your arms. I don’t want my whole stomach out. I even wrote about that in a post a little over a year ago, check it out here. Not my style at all. //I hate painting my nails. I love how my nails look afterwards but I hate doing it. It takes forever for any polish to dry and it leaves you practically immobile when you have wet nails. And, i’m too cheap to go and get my nails done by myself. //Instead of a diary, I have a planner where I write down everything I did that day. I started doing it in January and haven’t missed a day since. I think it’s because each day has it’s own spot where a diary is just blank pages. It’s been pretty therapeutic writing every day. Even just a small paragraph really helps me to reflect on the day. Do you guys keep a diary or journal? //I turned down my first paid sponsorship for my blog because of a conflict of interest with work. It made me feel so sad and so adult at the same time. I really do love the company I turned down but, I think I like their competitor better anyways (more on that to come). //I collect post cards whenever I go on vacation somewhere. They don’t take up much room in a suitcase and they can easily be hung up on the wall as art. Plus, they’re fun to send people. If anyone wants a postcard from me while i’m in Europe, send me an email at BeingLeanna@gmail.com! Or if anyone ever wants to send me a post card that would be awesome too. I’d love a pen-pal. Visit Being’s profile on Pinterest. //I try so dang hard to get into Pinterest and I just can’t anymore. I’ve had an account for years and I used to be on it 24/7 and now I just go on there to search for specific things (like recipes or how to make a tassle garland). I’m always pinning stuff from the blogs I read but I never go there for inspiration. I gotta fix that. Also, I think i’m the only woman in her 20’s without a “wedding” board. //I am extremely good at planning ahead but i’m also great at procrastinating. For example, I’ve got lists of places I want to see and things I want to do for every city i’m going to in Europe next month, but I’ve been telling myself i’m going to make a tassel garland for about 3 weeks now and haven’t even taken the tissue paper out of its packaging. //I pack a lunch to bring to work every day. Even if there’s no food in the house i’ll bring random snacks just so I don’t have to go out and pay for a lunch. I’d rather eat a pb&j then buy a sandwich every day. Plus, I can actually enjoy my entire 30 min lunch eating instead of rushing. //I love peanut butter. Okay, that may not be a surprise to some long time readers but I really love peanut butter. I could eat it every day and never get sick of it. By the way, that picture above is peanut butter ice cream with Reeses Pieces on top. Alright, off to ATTEMPT to make that tassel garland… hopefully. And, if you’re interesting in learning a bit more about me, check out my most recent “re-introduction” post here. Question of the day: What are some things you want me to know about you? ← This or That: Cushion Foundation!